Lighting gear designer and manufacturer Fluotec has added a full line of powerful pure white SoftLight BiColor DMX LEAD panels featuring its Nebula diffusion chamber technology in a specially-designed solution for soft lighting in professional applications of broadcast, motion picture production and photography. CineLight will enable crews to softly illuminate talent, achieving accurate skin tones, vibrant colors and precise and defined soft shadows. The emission spectrum of pure white light of the CineLight soft light fixtures is achieved through the use of high quality LEDs backed by 20 years of research that lead to a proprietary mixture of manufacturing technologies, Halodim stepless 0-100 dimming software for flicker-free professional images and the Nebula. Fluotec’s CineLight fixtures seamlessly change color temperature from the warm white tones tones of incandescent lighting to the much sought after neutral white light, all the way to the cool white of natural daylight. Any cinematographer, lighting designer or producer can take advantage of eight local presets or continuously change the mood of a producting at the touch of a button via local DMX or remote lighting console. The CineLight system is backed with powerful bicolor DMX soft light LED panels designed and manufactured by Fluotec and features an array of fixtures that includes four new BiColor DMX controllable soft light LED panels in studio or production lighting configurations, diffusion, light control accessories and one TBA portable battery panel. 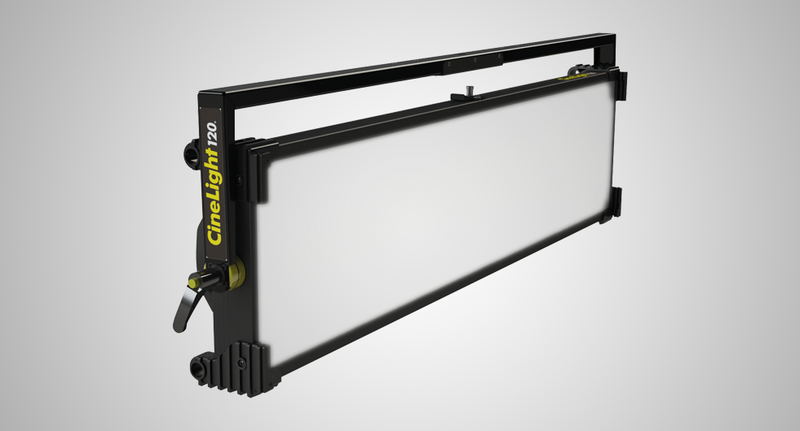 The CineLight also includes a complete set of accessories such as barndoors, light control egg crates and rigging accessories for studio or location use. The LEDs are connected in series in order to obtain the greatest illuminance with the lowest possible current while two sets of high quality white light LEDs with CRI 90+ and very high TLCI are used. This new CineLight system of soft lights incorporates the proven advanced Fluotec’ss exclusive Nebula diffusion technology also used in our SoftBox Studio and StudioLED fresnel systems. The integrated design includes a yoke studio assembly and a fitting central mounting quick release locking plate & tilt-bracket that mounts the fixture to stand or boom and provides tilting and rotating for stand or tripod use. State-of-the-art manufacturing technology is used to assemble the mechanical and electrical parts in a strong yet lightweight body.